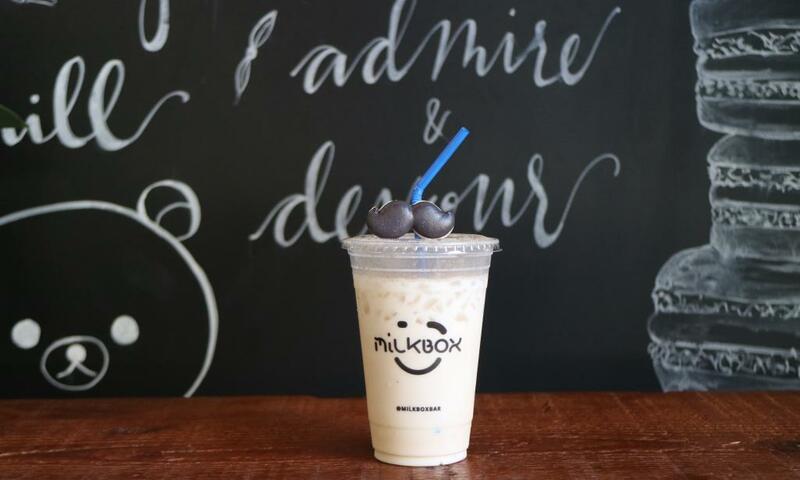 Orange County&apos;s macaron empire Honey & Butter and premium milk tea spot Milk Box Bar have teamed up to offer an exclusive mustache-inspired menu of macaroons, teas, and milk teas until October 15, 2017. 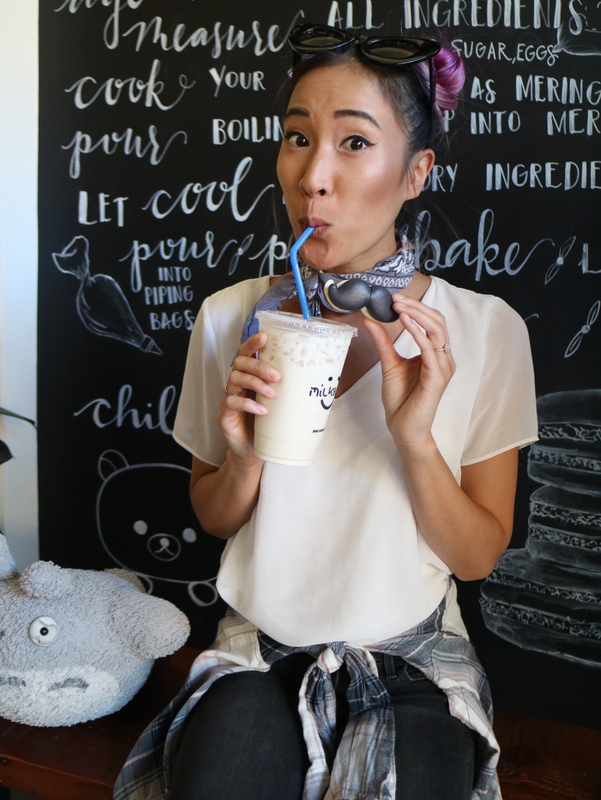 Honey & Butter has created various quirky, mustache shaped macarons and Milk Box Bar put together a churro milk and &apos;mustache&apos; ice teas menu. Both offerings are currently available at Honey & Butter Irvine Spectrum and all Milk Box Bar locations. I wasn&apos;t quite sure on the flavor of the mustache macarons that I was tasting, but the macaron perfectly melted into my mouth with every bite and was complemented by the churro milk tea. It was actually my first time tasting Honey & Butter macarons and I could see why there was so much hype and obsession surrounding the yummy, Parisian treat. I had been hearings raves about Honey & Butter macarons for years, and also enjoyed seeing all the cute, fun and accurately created character and creature confectioneries that Honey & Butter owners Leanne and Pawel Pietrasinski made fresh from scratch every day. 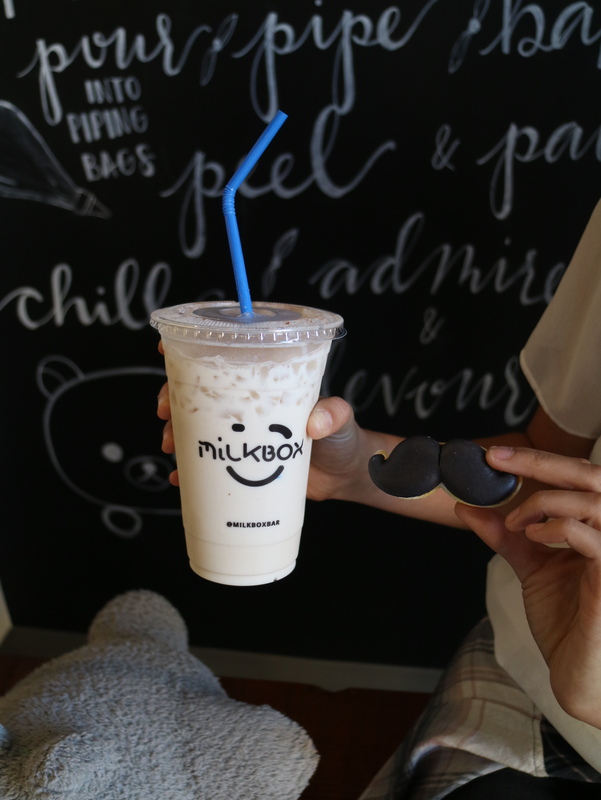 I also had seen Milk Box Bar open up at Union Market in Mission Viejo awhile back, but didn&apos;t get a chance to taste their milk teas, so this mustache collab tasting was such a great experience to try both brands. Don&apos;t forget to stop into either Honey & Butter Irvine Spectrum or any 3 Milk Box Bar&apos;s locations (Union Market Mission Viejo, Union Market Tustin, and Westminster) to pick up your mustache-inspired goodies. Purchase 2 macaroons and 2 drinks to receive an exclusive mustache collaboration enamel pin, or you can purchase a pin for $7/each! Happy eating!